SDCC Marvel Exclusives or How Poor Am I Going To Be This Summer? This box set features Black Bolt, Medusa, Gladiator, Blastaar and Star-Lord. Odd that Blastaar isn’t visible in the box. Perhaps it’s an early mock-up? Or is this the first box set build-a-figure? The box is designed to resemble the Galactus Engine from the “The Thanos Imperative” story line. A new Blackbolt? 6″ Gladiator and Abnett/Lanning Star-Lord? Be still my heart! It took me years to get the old Black Bolt to round out my Illuminati display; now I can upgrade. Star-Lord also brings us closer to a full Guardians roster too. The set has a price point of $99.99. 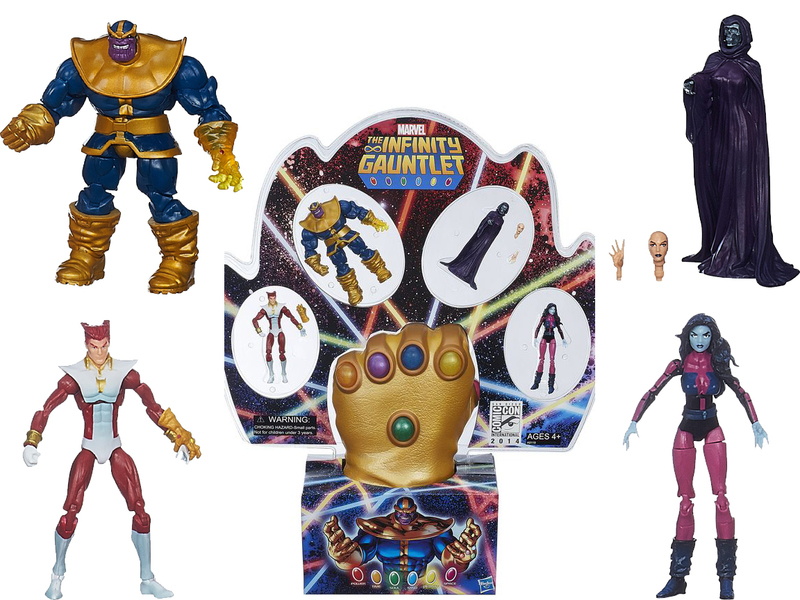 Inspired by the The Infinity Gauntlet storyline, this set features Nebula, Starfox, Death and Thanos. The Death figure is a standout here, with interchangeable human pieces. 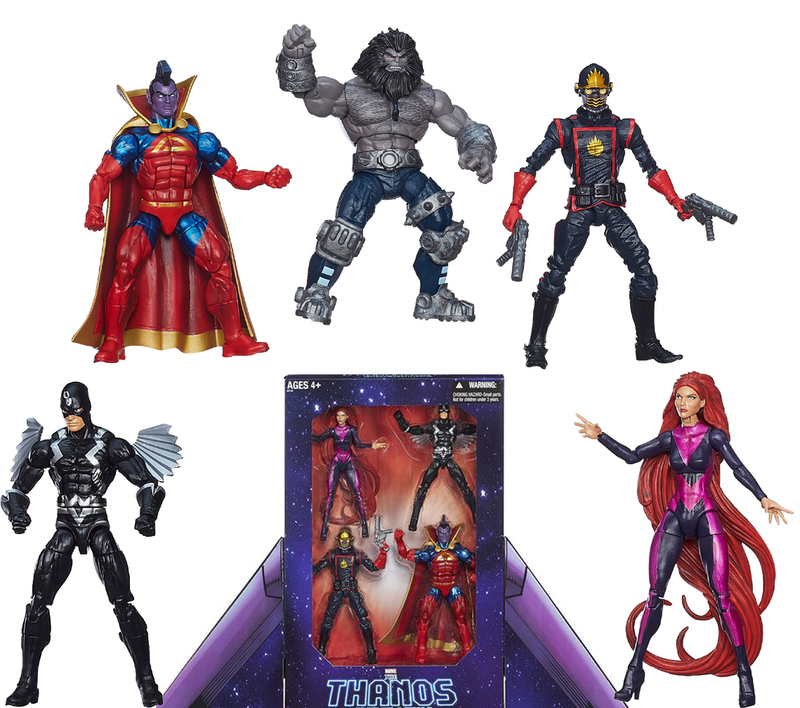 Thanos looks to be a reissue, but Starfox and Nebula are first-timers. Best of all, the set comes with a real-life foam Infinity Gauntlet, allowing you to recreate killing half the universe right in your home. Thanks Hasbro! The complete set will sell for $74.99. Between these two sets and the Prison Suit Doomsday from Mattel, this is going to be a very pricey convention season for me. I can’t attend, so I’ll be hunting for the best possible secondary market price on these. By best “best possible” I of course mean a price that will still allow me to eat and pay my mortgage. Fingers crossed! I love that these amazing sets are using both classic and modern cosmic stories to deliver truly unique figures that wouldn’t otherwise see a release. Now if you’ll excuse me, I have to go check my credit card balance.